Home / Commentary / Is He Safe? On the afternoon of Feb. 4, partway through the parade of advertisements that have become integral to the national ritual that we call the Super Bowl, there ran a promotion for Dodge Ram. Perhaps you saw the ad, either that afternoon on television or, later, online. That ad features a series of images of Americana including, as you would expect in a car promotion, several shots of Dodge Rams in action. 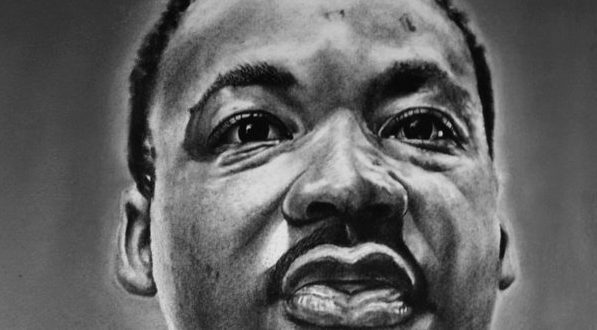 These images are coupled with a recording of a sermon by Martin Luther King Jr., a sermon that he gave exactly 50 years beforehand, on February 4, 1968. Now, I don’t know if it is possible to declare something to be infamous after the passage of as little as five days’ time (the internet has accelerated everything, so maybe it is). But if you were looking to make the case for instant infamy, Dodge’s commercial would make a respectable Exhibit “A.” The condemnation of the advertisement was swift and harsh and, I will add, well deserved – as the New York Times observed, the “sheer crassness” of using Dr. King’s voice and words in an effort to sell trucks was startling. …we are so often taken by advertisers. You know, those gentlemen of massive verbal persuasion. And they have a way of saying things to you that kind of gets you into buying. In order to be a man of distinction, you must drink this whiskey. In order to make your neighbors envious, you must drive this type of car. In order to be lovely to love you must wear this kind of lipstick or this kind of perfume. And you know, before you know it, you’re just buying that stuff. That’s the way the advertisers do it. I am guessing that many of commonsadmillennial’s fellow citizens had never heard Dr. King say this stuff either. While Lewis’ goal in this passage is to teach us about Jesus, the point that he makes applies in many ways to the prophets of this world, to the people who have served and who serve still as Jesus’ disciples, to people like Dr. King. We have tried really hard to make the prophets safe. Indeed, in many ways the story of the almost 50 years since Dr. King’s murder has been the story of our efforts to domesticate him, to make him into an avuncular and harmless figure, to reduce him to someone who entreats us all to just get along. In many ways, therefore, Dodge’s decision to reintroduce Dr. King to the world as a car salesman is not so much a departure from our common understanding of Dr. King as it is a confirmation of it. The Dr. King whom we hear about most of the time is perfectly at home telling you and me to go buy a pickup trick. But the real Dr. King was way less safe than that. And the gift of Dodge’s crass advertisement is that it invites us to remember that fact. It invites us to go back to his original speeches and sermons and letters in their entirety: to see the way that he calls out passivity and apathy in the face of injustice; the way that he calls out consumerism; the way that he calls out militarism; the way that he stands with workers fighting for justice; the way that he calls us to disobey unjust and racist laws. Dodge’s already infamous advertisement invites us to remember that, because he chose to imitate Christ, Dr. King wasn’t safe. But he was good.